WILMINGTON — The lost Toronto firefighter who had search-and-rescue teams combing Whiteface Mountain for nearly a week has returned home. After a brief stop in the Adirondacks for police questioning, Constantinos “Danny” Filippidis is back in Canada, according to Frank Ramagnano, the president of the Toronto Professional Fire Fighters Association. Ramagnano said he spoke to Filippidis briefly but didn’t ask too many questions because he didn’t want to over-stress him. Filippidis went missing at Whiteface Mountain Ski Center in Wilmington on Wednesday, Feb. 7. Organizations such as state police, the Department of Environmental Conservation and the Olympic Regional Development Authority that runs the mountain set up a search-and-rescue initiative. They utilized helicopters, dogs, drones and dozens of volunteers. The only problem was that Filippidis wasn’t on Whiteface. He wasn’t even in New York. Sgt. Shaun Hampton of the Sacramento Sheriff’s Office said Filippidis called police at 9:30 a.m. after his wife told him to. 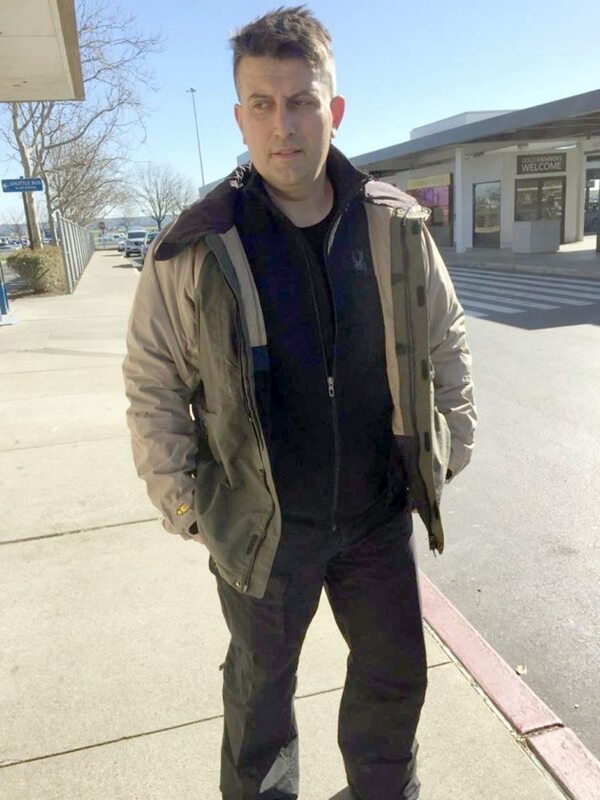 Police found him by the car rental terminal at Sacramento International Airport wearing a winter jacket, snow pants and a pair of Sorel boots. Hampton said Filippidis still had his skiing helmet, too. Filippidis told police he was a passenger on a big rig truck, but couldn’t remember much about the trip or the driver because he possibly suffered a head injury, according to Hampton. Filippidis also told police he got a haircut from an African-American male while in California. Calls to numerous barbershops near the Sacramento airport did not turn up the person who cut Filippidis’s hair. Despite his apparent memory loss, police deduced that Filippidis arrived in Sacramento Monday and stayed outside overnight on the sidewalks before calling his wife the next morning, Hampton said. She told him to call 911, which he did. Sacramento police are not entirely sure how Filippidis got to California but they don’t believe drugs were involved. “There is nothing that leads us to believe he was under the influence of drugs,” Hampton said. State police Public Information Officer Jennifer Fleishman said she could not provide any information from Filippidis’ interview with state police since the case is still under investigation.